You'll never be able to read all the good books, but for some people a good book is priceless. Some of my favorite treasures come from lists and hopefully some of my readers will find something precious to read from my list. Matching a book's contents with a reader's readiness can be a difficult task, but can be part of the fun. "The Luminaries" by Eleanor Catton, won the Booker prize and with the topic of New Zealand was a must read for me. It deserves its recognition even as a first novel. Layered with flashbacks towards solving a mystery. Interesting characters. I learned of another New Zealand author on vacation, Charity Norman and loved her "Second Chances" as well. "419" by Will Ferguson won the 2012 Scotiabank Giller award. Most of us have received an email from Nigeria and wondered how anyone could be so dumb. A lot depends on your background and emotional situation. The author explored both sides of the con game. Nigeria is a major country, but obviously with the majority living in poverty. Herman Koch, a Dutchman was known in North America for "The Dinner" which was a well constructed book.. "Summer Home with Swimming Pool" Same technique, anchored by an imperfect narrator gradually uncovering different layers. "The Terminal Experiment" by Robert J Sawyer is most amazing when you realize it was written in 1993 projecting to 2011. It was revised in 2009. When first written in 1993, the internet was very new and the world wide net not yet invented. He decided to keep the dates so that we could read what someone thought of the future in 1993 impressing me. A good mystery, but also full of philosophical questions. At one reading a student told the crowd that she chose to major in philosophy because of Robert J Sawyer. Terry Fallis always makes me laugh. Early in the year I read "The High Road' finishing off a two book series with a Canadian political framework and later in the year read "Up and Down" that worked in a public relations background and both were hilarious. "Still Alice" suggested by Mary Ito who had author Lisa Genova on Fresh Air as a guest. Helps get inside the head of someone grappling with early onset Alzheimer's. Also how it affects the family. As happens with hypochondriacs I find myself identifying with the symptoms. One of my motivations for blogging is simply to preserve memories which you don't realize how important they are until they are gone. Hamilton Reads selection from the library "The Redemption of Oscar Wolf" by James Bartleman was a very good choice. James Bartleman, grew up partially on Indian reserve and rose to become Lieutenant-General of Ontario. The book reflects his background. Also enjoyed an interview as part of the book. Sorry I missed the meeting with the author. 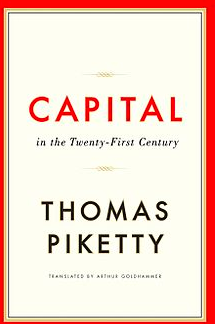 In truth I read a lot of books with a business perspective, others with a political perspective tied together with a social perspective. To make a living it is important to understand how money flows and how it is likely to flow in the future. Still there can be practical personal wisdom. Non fiction not business oriented, but impact how you make a living. "The Power of the Herd" points out that humans could learn a lot from horses, a prey animal. Some examples of those who have included George Washington and Alexander the Great. Finding the right book for your mood and circumstances can sometimes be daunting. The books listed have proved worth the effort for me, maybe for you. One of the perks of blogging is spouting off with personal opinions. Not everyone agrees, but it still feels good to shout what you really feel. Once in awhile one's opinions can prove embarrassing sometimes even something that requires an apology..
Nobody really knows another person, but we like to think we do. If we look at ourselves we realize we spend a lot of energy trying to create an impression that is not entirely honest. Amanda Lang, might be deemed the lesser in that she has accepted a large amount of money for public speeches and then extolled the virtues of those that had paid her. In one sense why shouldn't she--people are willing to pay to hear her opinion and she can select which audiences she feels comfortable to work with. Still we like to think when we hear someone's opinion we don't want to think it has been tainted by money. I thought her book deserved more attention. She was quite honest in revealing her youthful mistakes and gave what I thought was very good advice. I will listen to her with a doubt in the back of my mind whether or not that opinion is sincere and avoid relying on it to make real decisions. Probably good advice regarding anyone. Jian was nice to me and my wife and he didn't have to. We had bought a book at one his promotional talks and were fortunate to not have to wait too long for his autograph. There was a horribly long line behind us for him to cater to and we had gone through some perfunctory conversation and were on our way out when he called us back to thank us for attending. Although only mildly interested in his musical preferences I have been impressed with his interviewing skills and many of his expressed ideas. Sexual violence is disgusting is one way of reacting. I hate to think his likeable exterior can help mask predator behaviour towards women. I still like the CBC and am a bit concerned that some people will turn their back on it or government powers that already resent its news coverage (thinking of Steven Harper) will cut its budget. It is normal to make judgments, but we need to bear in mind that we never know all the details. I also like to caution myself that no matter how "bad" someone is they are still human. Jian and Amanda have made worthwhile contributions to my life, but I have been disillusioned by the recent revelations. Originally I had written about Jian Ghomeshi at: http://www.therealjohndavidson.com/2013/04/a-jian-ghomeshi-encounter.html It is hard to imagine how my story could have had any impact on what else was happening, but I feel a bit complicit in his actions. In the same year I had written about Amanda Lang at: http://www.therealjohndavidson.com/2013/04/the-power-of-why.html I think her book is well worth reading, but I feel a tiny bit guilty about building up someone to something more than a smart insightful person. Fans of celebrities need to realize their focus is at least in part on an image and that inside they are humans. Another perk of blogging is you can display photos that you like with no explanation. In 2015 I became obsessed with watching as many movies as I could and reached over 330. Naturally I tried to pick movies I would get some enjoyment out of and mostly succeeded, however there were a lot of time fillers and a few duds. The ones listed below were ones I enjoyed the most and might give some of you a laugh, maybe a cry or a sigh of contentment. 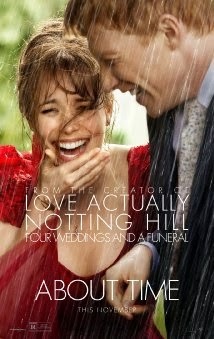 "About Time" had an interesting dialogue and likeable characters. We all wonder what if something in our past had been different would the outcome be different. Using fantasy, this movie explored many options that were very simple, but very consequential. 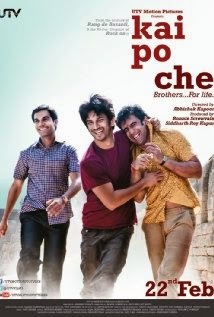 "Enough Said"-got a lot of laughs from improbable circumstances, but struck me with human vulnerabilities. James Gandolfino is often shown as a brute, but here he was very human and very well complemented by Julia Louis-Dreyfuss. "The Place Beyond the Pines" had a confusing trailer and I didn't look forward to the movie. However it was a masterpiece of plotting and acting. As in real life dissimilar events do connect. "Prisoners" had good reviews and turned out to live up to them. A psychological thriller with director Denis Villeneuve who I wrote about elsewhere as a Quebec artist. "Gravity" was really a one woman show of Sandra Bullock although technically I understand it didn't qualify for some feminist category. Directed by Alfonso Cuarón. Some other outstanding English language movies from my notes included "12 Years a Slave," "Her," "Captain Phillips," "Saving Mr. Banks" and "Frozen." Another favourite Danish director, Susanne Bier did "All You Need is Love" with Pierce Brosnan and Trine Dyrhol who I had seen in two other Danish movies to good effect. Kim Bodnia who I had seen in "The Bridge" as a likeable character is a despicable husband in this movie. It was ok, but for me a highlight was one of my all time favourite songs by Ricchi e Poveri. Decided I can like Akshay Kumar who previously mostly had seen in movies I didn't like. "Holiday"and "Special 26" changed that. He apparently is friends with and has campaigned with Stephen and Laureen Harper, but I will even forgive that. Jolly LLB" paired off Arshad Warsi and Boman Irani to great comic effect (saw another one with the two also very funny). "Hasee toh Phasee" was enjoyable with upcoming star Parineeti Chopra and Sidharth Malhotra. Another enjoyable film that won international acclaim was "The Lunch Box." Classic movies are supposed to be the ones that set the standards. We get spoiled by colour, modern special effects, sexual standards and don't always appreciate older movies. The real essence is a story and perhaps secondarily an emotion. I watched a Buster Keaton movie after a Jackie Chan special feature credited Keaton for inspiration. On one special feature for Buster Keaton were descriptions of how he created fantastic scenes, but very simply. 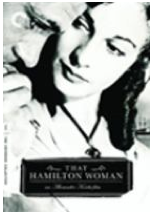 Other classics watched included "That Hamilton Woman" (watched by Winston Churchill over 80 times and by me 4 times) Olivia de Havilland in "The Heiress," "The Best Years of Our Lives" "Here Comes Mr Jordan," "Ben Hur" Jack Benny in "To Be or not to B,". Humphrey Bogart in "Dark Passage." Remembering Glenn Ford as someone I used to watch with my father I re watched some and found a few I had missed. One of my most popular blogs you can link to further down. I was able to check out a few horse oriented movies. "The Man from Snowy River" was family entertainment with great horse action in Australia. "The Horse Boy" helped me appreciate an important role for horses in the future. 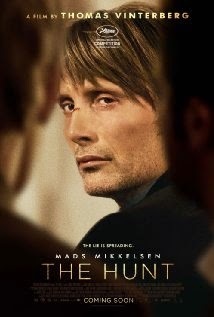 One Russian movie, "The Return" got my attention. Well worth a watch. "Dancer in the Dark" from 2000 was another very enjoyable watch. 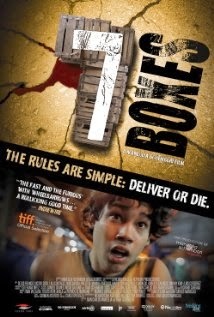 Paraguay with no reputation and little money produced "7 Boxes" Not glamorous, but an interesting story with interesting characters told really well. Next year I hope to discover more gems from unexpected places. For the last few days Korea has managed to dominate the news. Over a movie, that otherwise would likely not have a record setting box office nor be nominated for an Academy Award. They seem obsessed that anyone would dare say something bad about their "beloved leader." Normally we all fear being the victim of insanity and it seems the Korean leader makes an effort to project an image of insanity. If it is not possible to have a rational discussion, we must protect ourselves. Democracy requires people with power to be accepting of criticism. Yet, each one of us is sensitive to criticism and and can be vindictive. I don't know how we should expect to change human nature. Sony, as a private company is vulnerable to a nation with much greater resources. One of the most important functions of government is to protect its citizens. Some hard decisions have to be made. How can the U.S. government retaliate without causing more problems? How can they afford to ignore this threat? Alan Dershowitz suggested the best way would be that we assure people that if they want to suppress our First Amendment rights the offending item will be viewed by more people using the example of "The Satanic Verses." It takes a little courage, but that is the price of freedom. 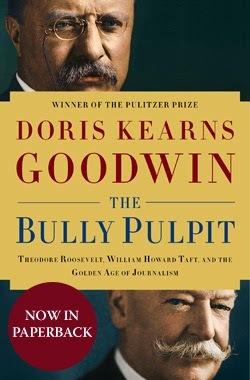 Bullies will keep doing what works. There are many enemies with more resources than North Korea who are looking for ways to hurt the West. The Republicans have offered to encourage theatre owners to show the movie and they will urge their supporters to watch it. On the surface seems smart and commendable. Hopefully they won't be the only ones giving support. Charlie Chaplin generated controversy with "The Great Dictator." Amongst many protesters I recall was J Edgar Hoover. Events changed perception of the movie. Freedom is not free. The government has to make some decisions, but the rest of us have to stand up. It is a shame that it is about a piddly movie, but really it is not. It is easy to spout platitudes, but every now and then we have to live up to them. We know the North Korean citizens have no freedom to criticize, so in a sense we need to stand up for them. My bias comes from having vacationed in Cuba four times and thoroughly enjoying it. The weather and the all inclusive nature of hotel accommodation were certainly appreciated, but above all was the people. Maybe being poor makes you appreciate the opportunity to serve visitors, but they certainly made us all feel welcome. Americans have had a peculiar relationship with Cuba. Before the 1959 Revolution it was a fun spot for them as well. For many others it was a tremendous opportunity to exploit the resources and the cheap labour. Now there is a lot of anger, most often expressed in Florida where many sought refuge. This anger has had an effect well beyond the narrow relations between two countries. Obama's recent actions regarding Cuba have upset a few Americans, but his actions were long overdue. Ernest Hemingway, an American literary hero loved Cuba and tourists are often taken to sights where he spent time. A lot of professional baseball players have come from Cuba. http://www.cnn.com/2014/12/17/opinion/granderson-cuba-breakthrough-justified/index.html?hpt=hp_t3 After the Cuban Revolution, a lot of Batista supporters fled mainly to the United States. As he points out the people complaining the loudest against the Castro regime seldom if ever talk about how they really got what they claim was taken away. But they have exerted themselves on political platforms and it is a foolish politician who would ignore their concerns. A few elections have hinged on Florida with perhaps the most monumental one being in 2000 that changed a whole lot of things which I would say were for the worse. The Elian Gonzales case got a lot of attention. Parental rights were ignored by very many before the law courts stepped in. I can sympathize with those who feel a youngster was being sent back to a terrible life, but it works both ways. If we want to assert parental rights on behalf of our fellow citizens we have to respect it when it works the other way. This is not so much a criminal matter as a family matter. I know everything was far from perfect in Cuba and that inevitably some people have been exploiting their power. It has been a standard joke about defections at every opportunity. I certainly saw a lot of poverty and have read of abuses. Tour guides might have a slanted view, but our Cuban guides seemed fairly well informed. Actually I don't think they are any more slanted than many American politicians or their supporters who see everything in a certain light. One very helpful and humorous guide I remember had spent time in Canada. Medical personnel were a high priority for Cuba and in fact one tour guide pointed out they were the nation's most critical economic resource. They were the first in Haiti after the big earthquake as they have been for other disasters. Medical personnel were traded for oil with Venezuela. Lots of South Americans have bad feelings for the United States. I am sure some of it is envy, but there is honest resentment as well. Americans don't understand the reasons. There is lots to love about Cuba. Music and dance and hard work, but also enjoying life. Havana is a remarkable city, although in need of repair. Of course the beaches. There is so much to love. I remember meeting a Cuban-American from Brooklyn on a vacation to Quebec City. Family ties were important to him. It is only a matter of time before we Canadians lose some of our favoured nation status and pay more for our vacations. Hopefully more Americans will receive Cuban hospitality and understand it is better to be friends. In a bar frequented by Ernest Hemingway is a photo of him with Fidel Castro. A view from a very unique building called Obscurata Camera in Havana. Apparently there were only two other facilities like it in the world. A wall mural made from grains of sand. Ghost movies like science fiction turn a lot of people off and on the other hand some people love them. At bottom, ghost movies are fantasies or contrivances that allow us to get a different perspective on life and if we let ourselves we can find something of interest. There is an element of scariness, but also humour and mystery There are always skeptics who doubt the sanity of whoever is suggesting there might be a ghostly explanation. The ghosts are present because something has not been resolved. Technology advances to scare us more or at least to make us realize the depicted situation is not normal such as bodies passing through solid objects and one another, decapitated talking heads, speeding around in a flash. We marvel at the special effects. "Here comes Mr. Jordan" from 1941 is not exactly a ghostly tale, but as one of my all time favorite movies I will stretch a point. 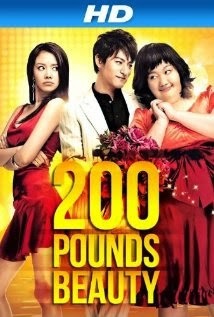 It is a comedy murder mystery with a soul mistakingly removed from a boxer's body and an effort to find a new body. It is not easy to find a new body and there are a lot of comic and romantic adventures along the way. It has the humans not aware of ghostly helpers and the communication problems when the hero wants to convince his old manager (James Gleason got nominated for this role) and his new love that he is not crazy. Evelyn Keyes, Claude Rains and Robert Montgomery make up a wonderful cast in the well written script. "The Uninvited" with Ray Milland in 1944 was touted as Hollywood's first serious ghost movie. Previously ghost movies were either humorous or given a rational explanation. In this movie the ghost is real. You did see a ghostly figure and it turns out there is an unresolved family matter. The black and white can actually be a bit scarier. Victor Young wrote the background music and introduced the classic "Stella by Starlight." 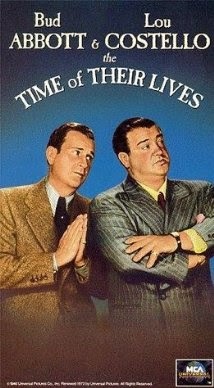 Abbott and Costello were noted for really corny slapstick humour, but a favorite ghost movie was "The Time of Their Lives " released in 1946. I feel a little guilty confessing that as a youngster I watched dozens of their movies using my newspaper carrier earnings. The unresolved issue in this feature was that our hero was wrongly accused of being a traitor in the American Revolution and had to find a way to redeem his honour before he could be reunited with his loved one in heaven. Maybe not art, but a very enjoyable movie. "Canterville Ghost" was originally conceived by Oscar Wilde and updated for a World War II movie. I recall very vaguely a detached head of Charles Laughton and that as a youngster more than any other movie this started an appreciation of him. Margaret O"Brien at about age 7 is his real counterpart and is praised for her role. I had watched a tv version of "The Ghost and Mrs. Muir "many years ago when I lived in a one channel community (Haliburton), but had not seen the movie. The black and white version film did not emphasize any of the ghost proofs (disappearing in smoke, going through solid materials). A romance where you had to wait until the very end for some type of consummation appropriate for a ghost movie. The story relates to some of the frustrations where the prospective lovers never seem to meet at the right time. Well done. "Ghost" with Patrick Swayze and Demi Moore is considered a classic love story. It used a lot of penetration of solid objects to make its point and was scary in parts with violence between humans, ghosts and each other. The "Unchained Melody" music played at key times demonstrated the frustration of not being able to communicate, but somehow love conquering anyhow. The movie had problems getting organized as at first the writer did not appreciate the director (who was more known for youthful comedies) and over a dozen actors rejected the male lead. One of the rejections apparently was Bruce Willis, (husband of Demi Moore) who thought the movie would fail at the box office. It won Oscars for Whoopi Goldberg and writer Bruce Joel Rubin and grossed over $500 million worldwide. Bruce Rubin commented in a special feature that he was originally inspired by a line in Hamlet where Hamlet's father's ghost asks for revenge. "The Sixth Sense" is not a typical ghost movie, but deals with dead bodies, many who don't know they are dead. The young boy feels tortured because he can see dead people. Not much in the way of ghost proofs. Known for one of biggest twists of all movies; it doesn't deserve a spoiler for those who have not watched it. Bruce Willis, Haley Joel Osment and Toni Collette--key figure is writer/director M Night Shyamalan. Classed as a horror film there is relatively little violence--the idea is frightening. "Odd Thomas" used the term "boldac" for dead people, but very ghostly and with a new high tech design. Unlike other ghost movies though the hero, Odd Thomas not only sees dead beings, but has friends who although they can't see, accept that he can. One ghostly proof was walking on water. Odd Thomas gets involved in a major apocalyptic event and saves the day but at a cost. "After Life" was a Japanese film about recently dead who had to decide what one memory they would take to eternity. What memory would you want to savour? The point might be that we should all remember the really important things in life. 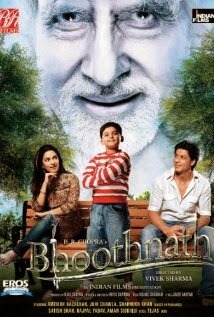 "Bhoothnath" with Juhi Chawla and Amitabh Bachchan with a cameo appearance by Shah Rukh Khan. A house haunted by a ghost who had unresolved family issues tries to scare a young boy, but eventually befriends him. Lots of special effects. "Bhoothnath Returns" from 2014 is noteworthy on a couple of fronts. The viewer is taken to ghost headquarters where ghosts line up for the next life and are told that it is far easier to come back as a mosquito than as a person. Amitabh Bachchan who in the previous movie failed to scare a young boy is laughed at and decides to redeem himself back on earth. Soon, as with other ghost movies he befriends a young boy who can see him and does a number of good deeds before another ghost shames him by pointing out that India is poor because of a lot of corrupt politicians. Bhoothnath is able to communicate with his voice, but not his appearance and performs acts of levitation against humans. He then decides to run for political office. The main theme of the movie seemed to be that in order to deal with poverty and corruption everyone should vote. Boman Irani this time plays the bad guy overcome by the ghost. Shah Rukh Khan makes a brief appearance to support the notion of voting. "Hum Tum aur Ghost" with Arshad Warsi and Diya Mirza. This movie has a low IDMB rating, but it would be enjoyable for those who can put themselves in the right pretend frame of mind. The idea itself originated with Arshad who was able to get financing and help write the script. I have seen him in a number of movies and now appreciate he has excellent comic timing. Boman Irani is a very good match for Arshad. and this is the second movie (the other is "Jolly LLB") this year where I watched the two go at one another creating a lot of laughs. Having ghosts just adds an element to the usual family drama and romance elements. When you watch too many ghost movies it might make you more inclined to believe them. My belief is that there will always be unexplained aspects of life. Everyone is welcome to take whatever comforting view they can justify. I see them as mechanisms to tell an interesting story. A lot of business owners spend a great deal of time and effort formulating strategies to make their business grow. Then they pass on their ideas to staff who are often befuddled and the strategies never seem to achieve their goals. In fact Jim Haudan tells us that 75% of strategic plans fail to be executed. When one goes through a new strategy process, one goes down a lot of deadends, rejects a lot of options, hears other opinions and finally comes to some sort of strategy. The strategy is based on all the efforts made by that one person. A one way presentation such as a Power Point will not necessarily lead everyone else to the same conclusion. The employees at the bottom who actually execute the strategy decided by others often feel overworked, confused, not aware of the big picture and distrustful of higher staff motivations. Often they have had a new series of strategies imposed on them without taking away previous instructions. The trick is to tap into something that the people really connect with. In large companies many employees don't see a personal connection to the strategies. Most workers want to be part of something big, want to feel a sense of belonging, want to make things better and want to feel their contribution can make a difference. Too often they get disillusioned. Jim Haudan, the author believes one of the best ways to communicate is with stories, particularly visual stories. This can be a tool when the employees participate so that they can see better how they fit into what needs to be done. They need to see the bigger picture including market trends and what the competition is up to. They need to trust their managers and their leaders. Wall Street analysts are learning to appreciate not just a strategy that has been announced to them, but if the skill levels of the employees are able to execute. That means the leaders have to think out how to develop the skills needed for a new strategy and to really motivate staff to acquire the skills. Change is frightening to many employees. Their leaders need to convey the attitude that change is not an indictment of past performance. What was done in the past worked, but it won't be enough for the future. When this is understood everyone can work together to make a better future. Leaders and managers will inevitably be surprised that the front line workers want to and can contribute ideas to make their strategies work better. One quote from author, Jim Haudan "Without understanding company strategy an employee can't take responsibility. People who do understand can't avoid it." There are many steps to be taken to integrate the strategies with the execution. We can all learn from Jim's experience and insight. They started at the strategic planning end of things and found out there was nothing automatic about execution. As they examined why their own strategies did not connect they learned. In a very real way they are proving that the learning process is critical to acceptance of any strategy. The infamous torture report came out recently with a harsh reality check for the CIA. Not only did they torture, but they lied about it. They certainly have their defenders who maintain that valuable information was obtained that protected American lives. The report itself denies that claim. In my nightmares it is hard to deny that torture would force many people, including me to give up their secrets. Real spies and soldiers undoubtedly have more courage than I possess, but there is a limit to how much even the best of them could endure. Nonetheless there are doubts as to its effectiveness. We all have heard of confessions under duress. Sometimes we assume that the person really was guilty and would otherwise have lied with a straight face if questioned. All too often we learn later that they were in fact innocent. This suggests the idea that people will say anything to stop the torture and too often their confession may not be true. It may not be true because of a deliberate strategy of the victim to mislead. It may not be true because of a deliberate strategy of the victim's overseers. It may not be true because the victim really doesn't know. It may not be true because the victim feels it is safer to agree with the accusers than fight. When we are desperate, we resort to desperate measures. After 9/11 there was fear everywhere that terrorists could strike at any time in any place. We lowered our standards and I don't just mean our leaders, but also ourselves. Many of us thought quietly to ourselves and some spoke out loud that nothing should be held back in our quest to find out what the terrorists were planning. If someone died or suffered it served them right for being involved with terrorists. Whether information gained from torture is useful or not there are other concerns, really costs involved. We know that many of our enemies don't hesitate to torture and brutalize anyone they capture and assume that they would no matter what we do. Is that really always true for every one of our "enemies"? We are creatures of habit and respond to peer pressure, but we all know stories of people who resisted doing bad things and tried to rectify injustice. World War II with the Holocaust produced significant people who were repulsed by the Nazi brutality and did what they could to shield its victims. We know there were Americans who protested their own brutality in recent times. Is it not possible that by setting a good example other humans similar to ourselves would feel more resistant to abuses of power by their own side? What about our front line combatants (in or out of uniform); do we not care about them? We know that Al Qaeda and other extremists felt that American and allied abuses were very helpful for recruiting fighters. It is very possible that the latest release of information will be used as a tool by our enemies. In fact it seems very likely that the new recruits have killed many innocent people. On the other hand our confession may give credibility to our claims of avoiding future torture. All that said, politics can be a dirty business and we will see plenty of evidence in the near future. John McCain for all his faults has put things in perspective. He understands the inhumanity of torture. However I suspect other Republicans will use the release of this report to prove how soft and foolish the Democrats are and that Obama is a secret Muslim. We all know that governments do what they feel needs to be done to protect their citizens and often publicly stated rules are bent and kept under cover. Innocent people die and suffer in "national interests." In chess, victory is given when one side is able to disable the king--everyone else is killed or captured, but not the king. I recently read an article by Juan Cole where he recounted several instances of the American Founding Fathers that demonstrated they were against torture. George Washington was aware that the American rebel prisoners had been killed by the British, but refused to allow revenge. His thinking and that of other founders was that they were superior ("exceptional" if you will) to the old European way of doing things. This has been twisted to the idea Americans are superior and can do whatever they want to protect their interests. Like many I feel somebody should pay for the lies and distortions. Many actually profited out of these false and brutal things. Inevitably most will get away with it. I hope the Americans learn a few lessons and can appreciate that they are all complicit. I don't exempt us Canadians and other allies as in various ways we are scarcely better. Sometimes it is very easy to be self-righteous, especially when one is on the outside that we are better people, but the truth is human nature is universal although our particular circumstances are randomly different. I applaud the courage required to present the report and hope it is a small step for civilization. Photo: taken by the Huka Falls in New Zealand. Years ago the title expression was used by a man who accused us proportional voting supporters as being unhappy because our guy didn't get in. His comments stung a bit, but then I appreciated that he was truthful. When we are reasonably content we don't question "the system." After all whatever the deficiencies of the system it seems to work. On the other side of the coin, the commentator was happy because his guy did get in or at least someone acceptable to him. My contention is that in fact the system caters to the people who "got in" and does not reflect the true will of the people. Furthermore because their will is not respected, they lose interest. Yes, this is another diatribe about proportional voting. What is the will of the people? When it comes to shopping I think we have a clearer idea. Some people like chocolate, some people like strawberry and other people like loud noises. How about you? If enough people have a preference there is a market for it. I might be peculiar but some of my preferences do not have a market. Because I don't get along with caffeine, but do love cherry flavour I jumped at cherry flavored 7 Up on a vacation to Florida, but learned that the test results from Saskatoon did not justify setting aside shelf space in Ontario. I like to think about looking for something better and when I find it look forward to enjoying it, but unless enough people share my passion it doesn't happen. Voting is set up in many jurisdictions so that one person wins and everyone else loses. It is true that a desirable candidate can attract a lot of support that can translate into volunteers and money. Money is one thing that ought to worry us because although some people maintain that corporations are like people they have their own set of self-serving, profit-seeking priorities. In our first past the post system a party does not have to get even half of the votes to be in a position of real power. They merely have to be the fastest or strongest of the other contestants opening a lot of different strategies. Two issues in my history illustrate how this can be abused. Free trade and the GST tax. They were both set up with less than 50% of the support from the voters while at the same time the decision makers declared they had a mandate. As it happens I agreed with both policies, but recognized there was not a true mandate. You could say my guy did get in. It can be argued that many good things happen under our system and that it is simpler, but you cannot always prove the will of the people is really respected. Any political party has a multitude of difficult choices to make. They have to have a policy on everything. In fact it is hard for any one individual to agree with any other individual when there is a large number of issues. We usually just decide on a few priorities and accept that we might not get our way on everything. Many people will claim they vote for the man (or woman), not the party, but it is hard not to notice that most actually do vote for the party they are comfortable with. What all this boils down to is that on any one issue you would have people lining up on different, sides, but the issue will be decided by a party. If more parties had a true voice, voters might be able to choose a party that more closely reflects their beliefs. They might even find it worth their while to see if indeed there is a party more aligned to them than the practical choices offered. What do I mean by practical choices? In most elections there are usually not more than two or three real contenders. Many voters worry more about who they don't want to "get in" and will vote their second choice. Other voters will feel there is no chance they will have a voice and don't bother and in fact don't bother to study the matter. Still others feel very confident their choice will get elected and don't feel an urgent need to actually vote. They are all losers. When the media comes out with its poll figures many people can see that their (wo)man will get in and they don't have to bother while others will see their (wo)man has no chance and it is not worth the effort. Still others try to figure out how they can avoid a candidate they dislike. There is another way and your voice can be heard a lot more clearly for a lot of different reasons. Proportional voting is based on political parties, not individuals. However individuals are indeed important and play a critical role. The party is important because it takes money and a lot of effort to put across a point of view that can have real power. Each party offers a list to the electorate. The parties have the challenge of balancing different interests such as geography, gender, ethnicity, experience, policies, merit etc. The electorate will be expecting that individuals with experience and intelligence are the most likely to be elected and so if they are far down the list voters will be discouraged from that party (every thing else being equal). There can of course be variations in how lists are presented. In the end each party might find they are weak in a particular area (such as geography or ethnicity), but if they want to get more votes the next time around to have more power they will have to find ways to address the weakness. One of the ways voters gain is that their little vote actually has more power. In the old days their one vote was either not enough to make a difference or was not needed, but now regardless it will count towards the total votes of their party meaning more elected officials. that share their goals. They need to be careful that they don't waste their vote. Each party has a choice of either going after their niches or if they want to get the most power to appeal to a wider range of voters. Many variations are possible, but the goal is that each vote counts. New Zealand has a good system that reflects what people really want. A criticism is that whacko groups will have power and that can be true. But if they are more than 50% of the voters they in fact deserve to be in power and the voters deserve what happens. Another criticism is that with so many diverse opinions to deal with nothing will get done. That is a possibility, but there is another dynamic at play. Do voters want inaction or not? They now have more power and can take other factors into consideration. Do parties accept they can't get their way or do they become willing to compromise? Although I am not normally conservative I can see that new decisions might have to jump through more hoops before they are accepted. It could go that I'll let you have your way if you let me have my way with something else, but budget concerns will become a voting factor. An educated voter is really important and perhaps it is not enough that real power will encourage that in the long run. Whoever controls the education system really has a lot of power. If they feel ignorance helps them they can downgrade the budget, but if they feel they will benefit from an educated electorate the budget is more likely to increase with more attention paid to details. For an economy to grow education certainly is a factor. Human resources are not just something for companies to be concerned about, but even more so with the total community. The low voting turnouts indicate elections are low priority for a lot of people. They could well feel their vote doesn't make much difference or is not needed. A sloppily thought out vote can be counter productive. An educated voter should appreciate that their vote does matter and if given a real choice can really make a difference. Elected officials should realize they work for the voters. The photo was taken at the recent Mum show in Hamilton Ontario.